Clearly iStamp: January Digi Release Day at CDS! Is everyone ready to get a little creative today? I sure am! We just got a covering of ice and that just makes me want to snuggle down and enjoy some crafting time! Here is a little tutorial and FREE digi that will help you learn the ropes! First up this month, we have Deedee Anderson's new digi, From the Heart! Deedee has been on leave for a few months for personal reasons, and we are happy to have her back this month with this adorable Valentine's digi! I've really missed her....and I'm sure you have too! This little mouse Valentine set is so adorable! I can't wait to make some of these up for my Sunday School kids! Designed by Deedee Anderson. Copyright Deedee Anderson. Licensed by CDS. This set is so versatile....you are going to love it! You can make cards and crafts with the pre-assembled Tic Tac Toe boards or you can make blank boards and then cut out the images individually to create a play set for your favorite young person! Every image (hearts, presents, etc.) is available in the rainbow of colors shown in the happy faces in the listing picture. This set is just FULL, FULL, FULL of images to create a number of projects! This little set is so cute and versatile! 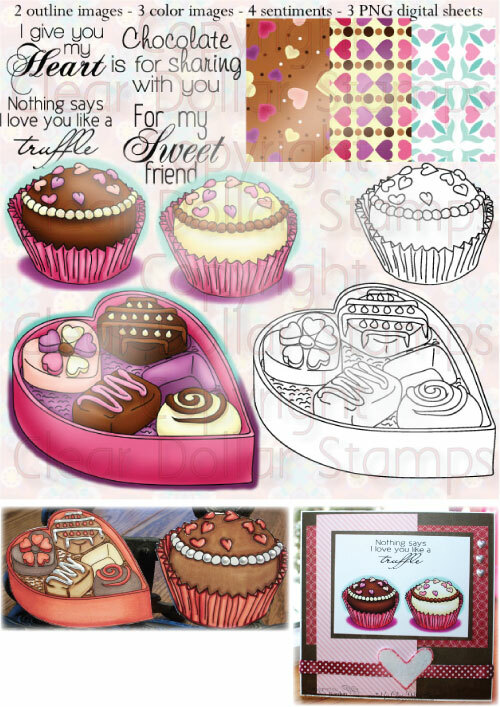 Make girly journals, Valentine's presents, and scrapbook pages with this set! I think the rainbow heart image is going to be perfect to make little witnessing packages for my Sunday School kids to hand out! The next two sets you will recognize from our stamp line...now available as Digi Images! Images by past CDS illustrators. Copyright Clear Dollar Stamps. Images by past CDS illustrator. Copyright Clear Dollar Stamps. This is such an elegant set for Valentines and anytime! 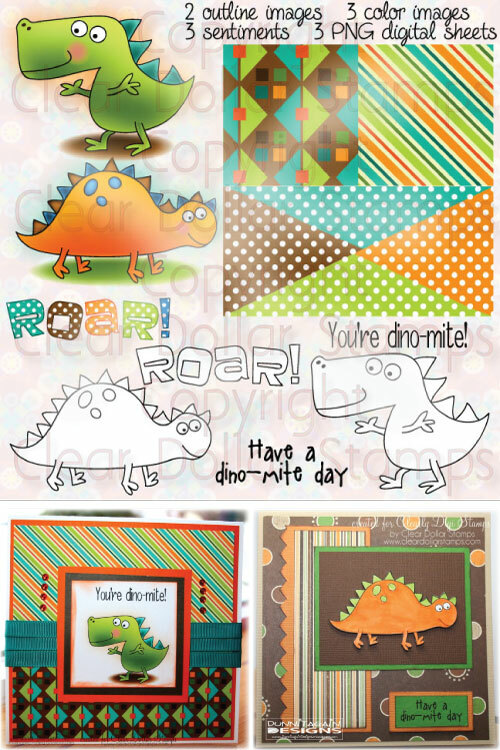 Complete with 3 papers, colored and outline images, you are going to enjoy getting creative with this set! What a sweet set this is....I love the color variations and the matching papers with this set! I can't wait to make some card sets up with this set! Designed by Laurie Wilson. Copyright CDS. Here is a little set to get you thinking about Spring....ahhh.....wonderful spring! Charlie is back in Digi Images this time....we have converted the original Charlie sets to Digis for you to enjoy! This way you can scale them to fit any project you are working on! Designed by Laurie Wislon. Copyright Clear Dollar Stamps. This little boy set is perfect for all of our "little men" out there! I love the matching papers that Laurie included with this set! Austin has been doodling up a storm this month....take a look! I am teaching a scrapbook class this semester at our Homeschool Coop and I think this is the perfect set to create a Valentine page for our group! Another beautiful flower image from Austin! This set is so cute....I love that she has included papers with this set! Who can't use borders? 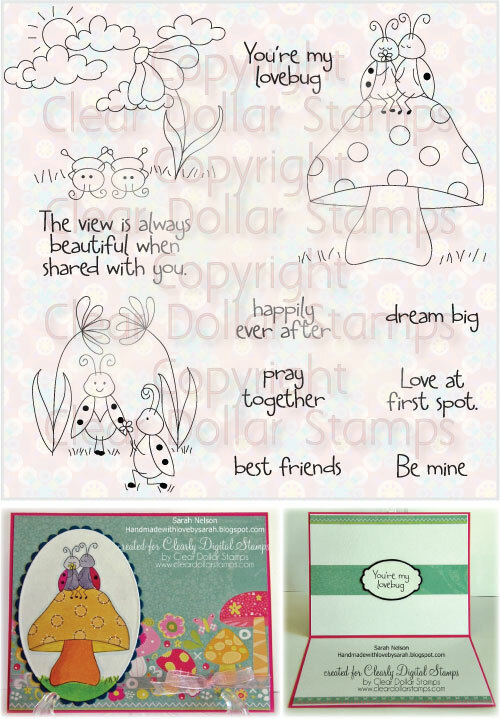 Perfect for pictures, to frame your sentiments inside of a card and so much more! Thank you so much for coming by to share our release day with us! Let our illustrators and Design Team know how much we appreciate all the hard work they go to and how we LOVE how they inspire us! Favorite set from this month? The dino set!!! It's a great reminder that we have boys in our lives, too, haha! :) Nice work, ladies!!! !